Our cute little friend Hello Kitty is a kind-hearted white bobtail cat. Her ribbon is a symbol of friendship and being one of Sanrio's most popular characters, Hello Kitty melts our hearts! 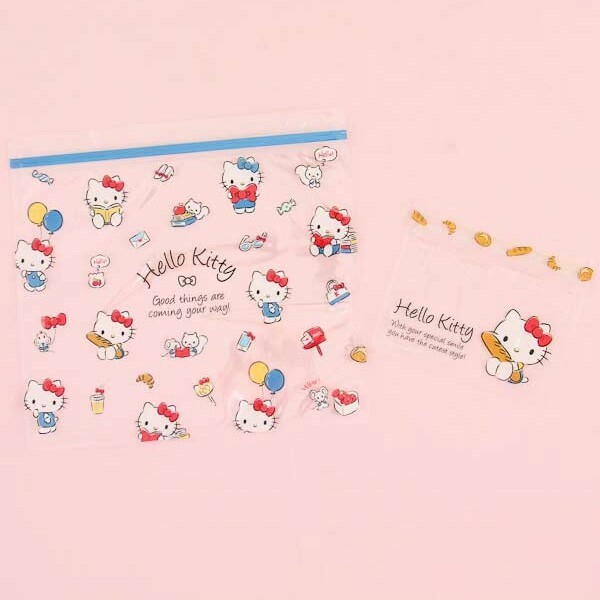 Now she is here to keep your document & items organized with a kawaii touch! These cute ziptop bags have adorable illustrations of Hello Kitty with her friends having a great time! 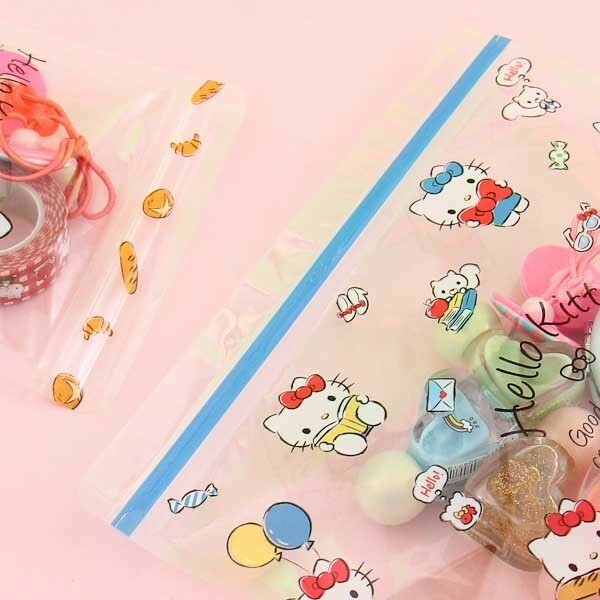 Use it as a store-bag for your candies, accessories, letters, stickers and many other things! 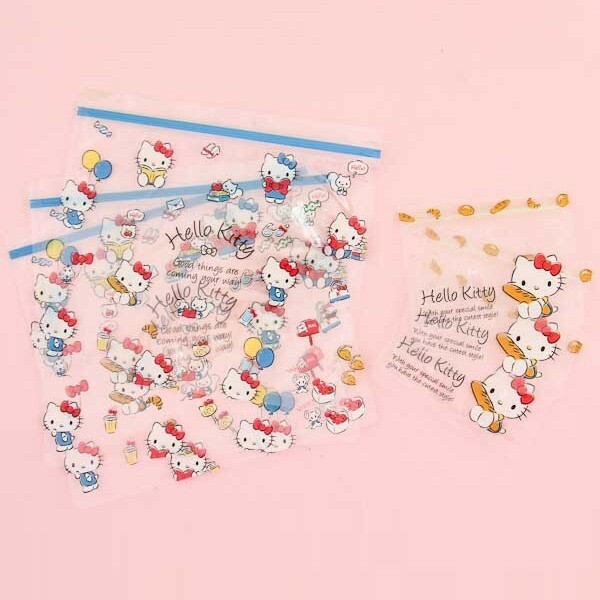 Kawaii-fy your stationery collection with these lovely ziptop bags and let Hello Kitty take over your daily routine. One pack includes 3 medium and 3 small ziptop bags. Wow!